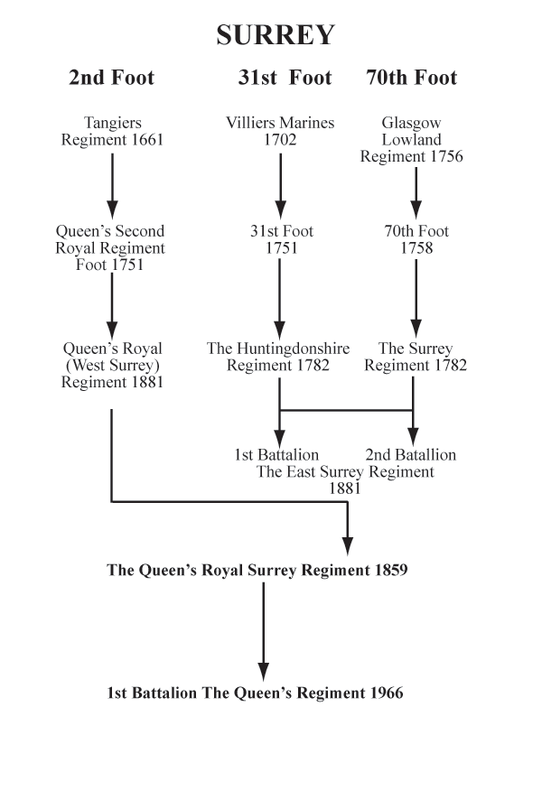 Our history can be traced back to 1661 - a direct descendant of the 2nd Regiment Foot, later the Queen's Royal Regiment of the line. 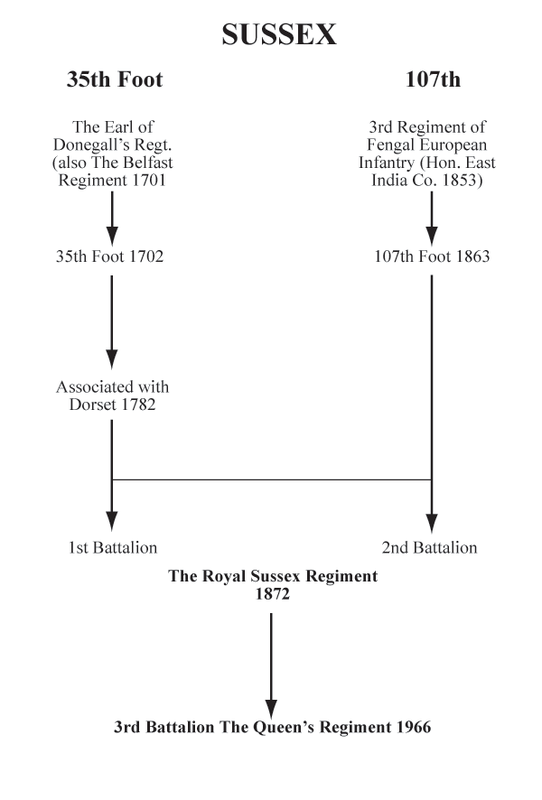 The Regiment is "The Infantry Regiment" of South East England, including most of London and stems directly from the following county Regiments of Surrey, Kent, Sussex and Middlesex. Formerly The Queen's Royal Surrey Regiment 2nd, 31st & 70th Regiments of Foot. The Buffs (Royal East Kent Regiment) 3rd foot ("The Buffs") 2nd Battalion Queen's Own Buffs - formerly The Queen's Own Buffs, (The Royal Kent Regiment), 3rd, 50th & 97th Regiments of Foot. 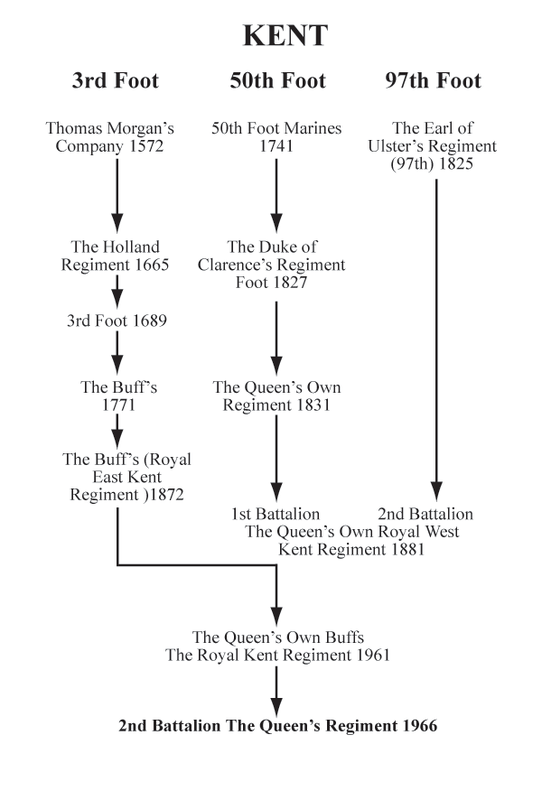 The Queen's Own Royal West Kent Regiment 50th and 97th foot ("The dirty half Hundred") The Royal Sussex Regiment (Duke of Cambridge's Own) 57th and 77th foot ("The Diehards") 3rd Battalion - Royal Sussex - 35th & 107th Regiments of Foot. 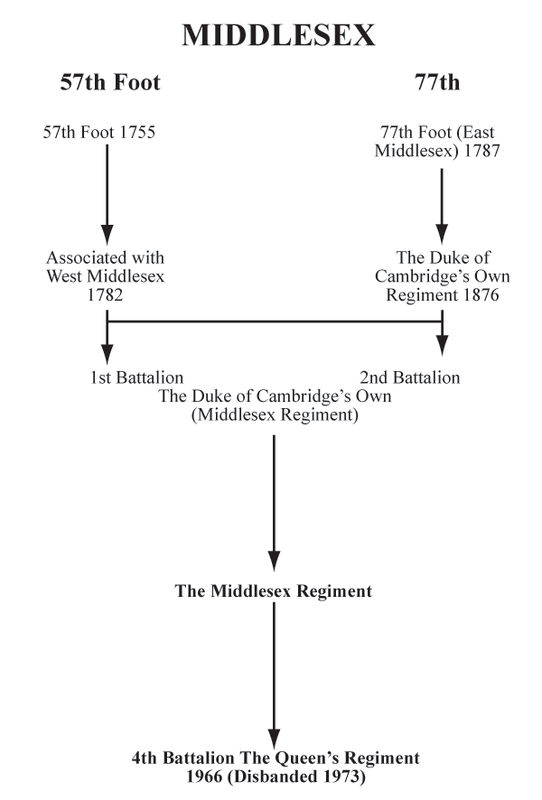 4th Battalion Middlesex - formerly the Middlesex Regiment (Duke of Cambridge's Own), 57th & 77th Regiments of Foot. In 1967, a TAVR Unit was formed to be deployed with NATO in W. Germany during the Cold War. 1992 saw the amalgamation of 1st, 2nd and 3rd Battalions with the Royal Hampshire Regiment, to form The Princess of Wales’s Royal Regiment.